Welcome back to our series in the Apostle John’s first letter. This will be the last article in our study of this inspiring portion of Scripture. “Nothing is certain but death and taxes.” Benjamin Franklin wrote those words in 1789. Of course, a wise man like Franklin knew many other things are also certain. The Christian knows there are many certainties. Of spiritual truth, Christians are not afraid to say, “We know!” In fact, the word know occurs thirty-nine times in John’s brief letter, eight times in this closing chapter. What does the Bible say about homosexuality? Is homosexuality a sin?. An article by G. Richard Fisher. Many Christians uncritically accept the writings of Watchman Nee even though few know anything about his background. Many are impressed by the volume of his work and the dogmatism and feeling of deep spirituality that characterize his writings. His ideas and books still influence charismatics, fundamentalists and people in between. But one need not be a theologian to discover that his teachings call for scrutiny and caution by Christians. Much can be learned about Nee from a cursory reading of some of his books and the writings of others who were around him. These show that his theology developed through encounters with four different people and it was from these that he “borrowed” ideas extensively. Each new book seemed to develop from “discoveries” received from these teachers. Nee’s basic writings cover over 40 volumes and have been researched by Dana Roberts. His findings are not flattering to Nee and are presented in his book Understanding Watchman Nee. This writer is indebted to Roberts for much of the material in this article. Nee was born Nee Shi-Tsu in November 1903. His mother, a Methodist mission convert, later changed his name to “Bell ringer,” or Watchman, with all the Christian connotations. He claimed conversion to Christianity in April 1920. At a Bible school in Shanghai, he came under the influence of a female teacher, Miss Yu. Under her instruction he seriously sought a “second blessing.” He later said he felt he had “recovered” truth for the church and taught four subsequent experiences after conversion. Miss Yu directed Nee to Miss M.E. Barber, who taught him in the Keswick concept of the filling of the Spirit. In February 1922, Nee claimed, he was “baptized in the Spirit” and put himself under the continuing instruction of Barber. Barber then was responsible for the development of Nee’s perfectionistic theology. Barber also convinced Nee of the truth of the “partial rapture” theory assigning carnal believers to a kind of Protestant purgatory. Nee admitted that in his writings on the book of Revelation, he depended on a book from Barber’s library by Robert Govett that teaches a partial rapture. Thus we see how he got these new “insights” that became the basis for new books. Later, Barber allowed Nee to read the works of Jesse Penn Lewis when she thought he was “mature enough,” Roberts says. Penn Lewis, a mystic with a Welsh Methodist background, saw many parts to man’s inner nature. Her literature, considered “holiness literature,” is the main source for Nee’s Spiritual Man series, in which he developed a gnostic view of man, Roberts says. Nee also got doses of Catholic mysticism through the writings of Madame Jeanne Guyon, as published in Penn Lewis’ magazine. Nee continued to read widely and when Barber exposed him to the writings of John Darby, he found the basis for his ecclesiology, or thoughts on the church. From that point, everything Nee wrote on the church is easily identified with the teachings of the Plymouth Brethren. He rejected clergy as unscriptural. During this time Nee also professed to be led by inner leadings. He justified this subjective means of revelation by saying that the ways of God are not known by external means but by “internal registrations.” Again, he was rejecting external authority. Nee had his own eclectic system developed when he encountered another woman in 1935. Elizabeth Fischbacker introduced him to Pentecostal theology and speaking in tongues. Nee did not regard tongues as unbiblical but never spoke in tongues himself. In 1942, Nee took over the running of his brother George’s chemical factory. He consigned all the property to the church and sought to have the church members as the factory workers. As a result he contradicted previous positions he had taken regarding disassociation of the church and business. In 1949, Mao-Tse Tung came to power and Communist China was born. Nee, a factory owner, was seen as an imperialist and eventually was jailed. He remained in prison until his death in 1972. Nee outlines no method of Bible study and interpretation and appears to deny evangelical hermeneutics. In his book Spiritual Authority, he sets himself and his elders up as the unquestionable authorities. By all appearances, Nee saw himself not as a servant but as a guru. One gets the impression from Nee that the Bible was not nearly as important as Christians generally consider it. In his book The Ministry of God’s Word, Nee says, “Words alone cannot be considered God’s Word.” In this book, Nee becomes very philosophical, mystical and incoherent.He says that only as we deliver the Word in terms of the “reality behind it,” using what he calls “Holy Spirit memory” and “presenting the pictures as well as speaking the words” will the words be correct; otherwise they are not real. Nee overemphasizes emotions. In The Ministry of God’s Word, he claims that the effectiveness of a preacher’s delivery is a product of his emotions. If a preacher does not feel emotionally charged in delivery, “the Spirit is stuck” and the “Spirit is inevitably arrested,” Nee says. He continues, “The Spirit flows through the channel of emotion.”Then he arrives at a strange conclusion: “Nose in the Scripture stands for feeling. Smelling is a most delicate act, man’s feeling is most delicate.” Therefore, Nee says, a preacher in speaking needs to “mix feelings with the words spoken, else his words are dead. 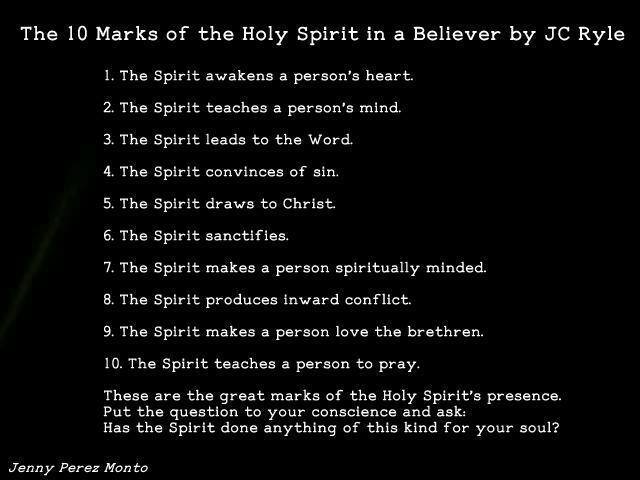 If our feeling lags behind, our words are stripped of the spirit.” To say as Nee does, on page 210, that the Holy Spirit only rides on feeling is dangerous. When a Christian begins to see Nee as a guide in determining the value of other Christian writers, or sees Nee’s writings as a key to spirituality, that person is headed for trouble. Nee’s presuppositions are suspect in light of the Word of God. His books provide grist for cult groups such as The Way, The Alamo Foundation, the Children of God and other groups. The astute believer should watch out for Watchman Nee. This article was written by by G. Richard Fisher, a member of the Board of Directors of Personal Freedom Outreach (PFO) — a ministry that educates Christians about the dangers and heretical doctrines of religious cults. Fisher is the senior researcher/writer for PFO’s The Quarterly Journal. Pastor Fisher served as pastor of Laurelton Park Baptist Church in Bricktown, N.J., for over 40 years, from 1968 until his retirement in June 2009. He also was part of the teaching staff at Central Jersey Bible Institute for over three decades, where he had served as Dean of the school. From Way of Life Literature, David Cloud has presented a three-part series of testimonies of men who set out shred Christianity but instead came out believers. Here are some excerpts. I have selected one testimony from each part. Above all other books, the Bible has been hated, vilified, ridiculed, criticized, restricted, banned, and destroyed, but it has been to no avail. As one rightly said, “We might as well put our shoulder to the burning wheel of the sun, and try to stop it on its flaming course, as attempt to stop the circulation of the Bible” (Sidney Collett, All about the Bible, p. 63). In A.D. 303, the Roman Emperor Diocletian issued an edict to stop Christians from worshipping Jesus Christ and to destroy their Scriptures. Every official in the empire was ordered to raze the churches to the ground and burn every Bible found in their districts (Stanley Greenslade, Cambridge History of the Bible). Twenty-five years later Diocletian’s successor, Constantine, issued another edict ordering fifty Bibles to be published at government expense (Eusebius). In 1778 the French infidel Voltaire boasted that in 100 years Christianity would cease to exist, but within 50 years the Geneva Bible Society used his press and house to publish Bibles (Geisler and Nix, A General Introduction to the Bible, 1986, pp. 123, 124). Robert Ingersoll once boasted, “Within 15 years I’ll have the Bible lodged in a morgue.” But Ingersoll is dead, and the Bible is alive and well. As a law professor, he determined to expose the “myth” of the resurrection of Christ once and for all, but his thorough examination forced him to conclude, instead, that Jesus did rise from the dead. In 1846 he published An Examination of the Testimony of the Four Evangelists by the Rules of Evidence Administered in the Courts of Justice. Thus, one of the most celebrated minds in the legal profession of the past two centuries took the resurrection of Christ to trial, diligently examined the evidence, and judged it to be an established fact of history! And this was in spite of the fact that he began his investigation as a skeptic. One of Greenleaf’s points is that nothing but the resurrection itself can explain the dramatic change in Christ’s disciples and their willingness to suffer and die for their testimony. “Their master had recently perished as a malefactor, by the sentence of a public tribunal. His religion sought to overthrow the religions of the whole world. The laws of every country were against the teachings of His disciples. The interests and passions of all the rulers and great men in the world were against them. The fashion of the world was against them. Propagating this new faith, even in the most inoffensive and peaceful manner, they could expect nothing but contempt, opposition, revilings, bitter persecutions, stripes, imprisonments, torments, and cruel deaths. Yet this faith they zealously did propagate; and all these miseries they endured undismayed, nay, rejoicing. As one after another was put to a miserable death, the survivors only prosecuted their work with increased vigor and resolution. The annals of military warfare afford scarcely an example of the like heroic constancy, patience, and unblenching courage. They had every possible motive to review carefully the grounds of their faith, and the evidences of the great facts and truths which they asserted; and these motives were pressed upon their attention with the most melancholy and terrific frequency. 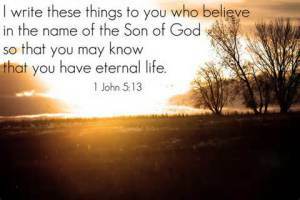 It was therefore impossible that they could have persisted in affirming the truths they have narrated, had not Jesus actually risen from the dead, and had they not known this fact as certainly as they knew any other fact. … If then their testimony was not true, there was no possible motive for its fabrication” (Greenleaf, An Examination of the Testimony of the Four Evangelists by the Rules of Evidence). Finish Part One at this link. As a teenager, I wanted the answers to three basic questions: Who am I? Why am I here? Where am I going? … So as a young student, I started looking for answers. I thought that education might have the answer to my quest for happiness and meaning. So I enrolled in the university. What a disappointment! I have probably been on more university campuses in my lifetime than anyone else in history. You can find a lot of things in the university, but enrolling there to find truth and meaning in life is virtually a lost cause. I used to buttonhole professors in their offices, seeking the answers to my questions. When they saw me coming they would turn out the lights, pull down the shades, and lock the door so they wouldn’t have to talk to me. I soon realized that the university didn’t have the answers I was seeking. Faculty members and my fellow students had just as many problems, frustrations, and unanswered questions about life as I had. A few years ago I saw a student walking around a campus with a sign on his back: ‘Don’t follow me, I’m lost.’ That’s how everyone in the university seemed to me. Education was not the answer! Prestige must be the way to go, I decided. It just seemed right to find a noble cause, give yourself to it, and become well known. The people with the most prestige in the university, and who also controlled the purse strings, were the student leaders. So I ran for various student offices and got elected. It was great to know everyone on campus, make important decisions, and spend the university’s money doing what I wanted to do. But the thrill soon wore off, as with everything else I had tried. Every Monday morning I would wake up with a headache because of the way I had spent the previous night. My attitude was, Here we go again, another five boring days. Happiness for me revolved around those three party-nights: Friday, Saturday, and Sunday. Then the whole boring cycle would start over again. Around this time I noticed a small group of people on campus–eight students and two faculty–and there was something different about them. They seemed to know where they were going in life. And they had a quality I deeply admire in people: conviction. But there was something more about this group that caught my attention. It was love. These students and professors not only loved each other, they loved and cared for people outside their group. Then my new friends issued me a challenge I couldn’t believe. They challenged me, a pre-law student, to examine intellectually the claim that Jesus Christ is God’s Son. I thought this was a joke. These Christians were so dumb. How could something as flimsy as Christianity stand up to an intellectual examination? I scoffed at their challenge. I finally accepted their challenge, not to prove anything but to refute them. I decided to write a book that would make an intellectual joke of Christianity. I left the university and traveled throughout the United States and Europe to gather evidence to prove that Christianity is a sham. One day while I was sitting in a library in London, England, I sensed a voice within me saying, ‘Josh, you don’t have a leg to stand on.’ I immediately suppressed it. But just about every day after that I heard the same inner voice. The more I researched, the more I heard this voice. I returned to the United States and to the university, but I couldn’t sleep at night. I would go to bed at ten o’clock and lie awake until four in the morning, trying to refute the overwhelming evidence I was accumulating that Jesus Christ was God’s Son. I began to realize that I was being intellectually dishonest. My mind told me that the claims of Christ were indeed true, but my will was being pulled another direction. I had placed so much emphasis on finding the truth, but I wasn’t willing to follow it once I saw it. I began to sense Christ’s personal challenge to me in Revelation 3:20: ‘Here I am! I stand at the door and knock. If anyone hears my voice and opens the door, I will come in and eat with him, and he with me.’ But becoming a Christian seemed so ego-shattering to me. I couldn’t think of a faster way to ruin all my good times. I knew I had to resolve this inner conflict because it was driving me crazy. I had always considered myself an open-minded person, so I decided to put Christ’s claims to the supreme test. One night at my home in Union City, Michigan, at the end of my second year at the university, I became a Christian. I said, ‘Lord Jesus, thank You for dying on the cross for me.’ I realized that if I were the only person on earth, Christ would have still died for me.’ … I said, ‘I confess that I am a sinner.’ No one had to tell me that. I knew there were things in my life that were incompatible with a holy, just, righteous God. … I said, ‘Right now, in the best way I know how, I open the door of my life and place my trust in You as Saviour and Lord. Take over the control of my life. Change me from the inside out. Make me the type of person You created me to be’ (Josh McDowell, “He Changed My Life,” The New Evidence That Demands a Verdict, Thomas Nelson, 1999, pp. xxv). “After trying to shatter the historicity and validity of the Scripture, I came to the conclusion that it is historically trustworthy. If one discards the Bible as being unreliable, then one must discard almost all literature of antiquity. “One problem I constantly face is the desire on the part of many to apply one standard or test to secular literature and another to the Bible. One must apply the same test, whether the literature under investigation is secular or religious. “Having done this, I believe we can hold the Scriptures in our hands and say, ‘The Bible is trustworthy and historically reliable” (The New Evidence, p. 68). Finish Part Two at this link. “Make no mistake about it–creation/evolution is a salvation issue. I do not mean you have to have a detailed knowledge of creation science to be a Christian; I simply mean that belief in evolution can be for many, as it was for me, a powerful stumbling block to accepting (or even considering) the claims of Christ. Paul warned Timothy to avoid the oppositions of science falsely so-called, which some have erred concerning the faith (1 Tim. 6:20-21). Evolution is really ‘humanism dressed up in a lab coat,’ a man-centered worldview that uses scientific jargon to put man’s opinions far above God’s Word (as Eve did in the Garden).“My extensive knowledge of, and zeal for, evolution certainly prevented me from even considering that God might be real and the Bible true. So what happened? Well, Dr. Signorino, the colleague who invited me to the Bible study, was not only a superb Bible teacher, he was also a scientist respected internationally for his work in chemistry. He challenged me to look again at the science I thought I knew so well. Confident that science would support evolution and refute biblical literalism, I gladly accepted the challenge.“The battle began. For three years, we argued creation/evolution. For three years, I used all the evolutionary arguments I knew so well. For three years, I lost every scientific argument. In dismay, I watched the myth of evolution evaporate under the light of scientific scrutiny, while the scientific case for Creation-Corruption-Catastrophe-Christ just got better and better. It’s no wonder that the ACLU (actually the anti-Christian lawyers union) fights by any means to censor any scientific challenge to evolution! …“About that time, I got a copy in the mail of the first book I ever wrote, a programmed science instruction book calledDNA: The Key to Life. Up until that time I thought people who wrote books, especially textbooks in science, knew what they were talking about. I had a nearly straight A average and earned numerous academic awards, and my book had been reviewed by experts on DNA, but I knew all the uncertainties that went into it. (Indeed, when I published the second edition five years later, I put the first edition aside and started fresh; so much additional knowledge about DNA had been gained.) It finally dawned on me: if experts in science can write books that have to be continually corrected, revised, and updated, perhaps God could write a Book in which He said what He meant and meant what He said: eternal and unchanging truth, an absolutely sure foundation for understanding life useful to all people at all times in all places! “Keep the faith. At bottom, that is all there is to radioactive decay dating: a faith the facts have failed. At bottom, that’s all there is to evolution: a faith the facts have failed. Evolution was only able to get a toe-hold on science because of 19th-century ignorance of molecular biology, cellular ultra structure, ecology, and systematics. Discoveries in these fields completely crushed evolution as a science, but it persists only too well as a secular religion protected from contrary evidence by the anti-American censorship lawyers united” (Persuaded by the Evidence, pp. 251, 252, 253, 254, 255, 258, 260, 261). Finish Part Three at this link. Mark his [the godly man’s] positive character. “His delight is in the law of the Lord.” He is not under the law as a curse and condemnation, but he is in it, and he delights to be in it as his rule of life; he delights, moreover, to meditate in it, to read it by day, and think upon it by night. He takes a text and carries it with him all day long; and in the night-watches, when sleep forsakes his eyelids, he museth upon the Word of God. In the day of his prosperity he sings psalms out of the Word of God, and in the night of his affliction he comforts himself with promises out of the same book. “The law of the Lord” is the daily bread of the true believer. And yet, in David’s day, how small was the volume of inspiration, for they had scarcely anything save the first five books of Moses! How much more, then, should we prize the whole written Word which it is our privilege to have in all our houses! But, alas, what ill-treatment is given to this angel from heaven! We are not all Berean searchers of the Scriptures. How few among us can lay claim to the benediction of the text! Perhaps some of you can claim a sort of negative purity, because you do not walk in the way of the ungodly; but let me ask you—Is your delight in the law of God? Do you study God’s Word? Do you make it the man of your right hand—your best companion and hourly guide? If not, this blessing belongeth not to you. The Treasury of David: A Commentary on the Psalms, 3 Vol.